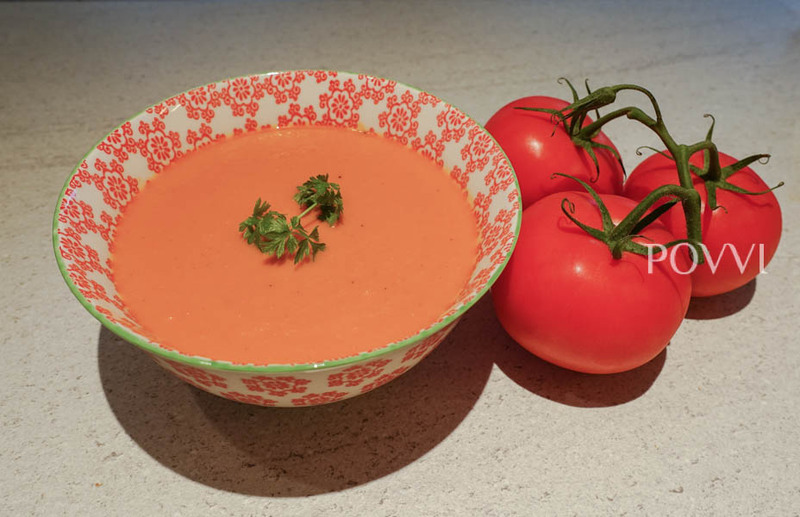 Delicious, nutritious soup from fresh vine tomatoes and Swiss Gruyere cheese. 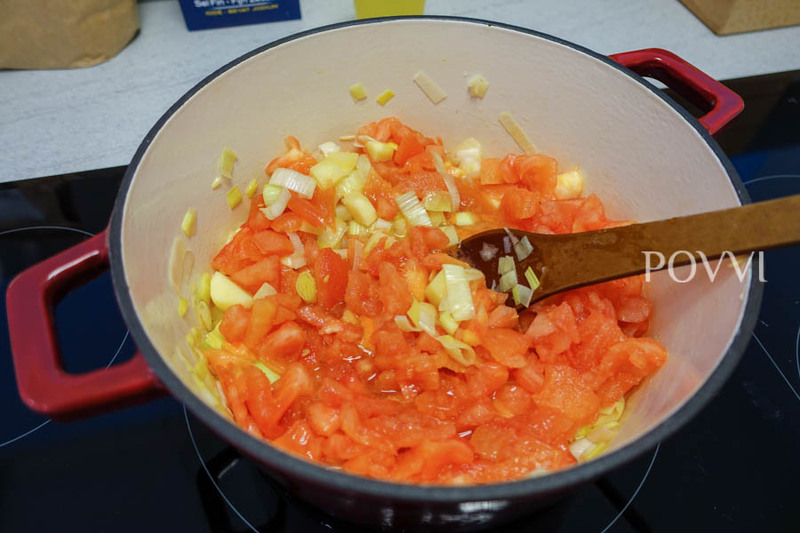 Wash the tomatoes and cut diagonally from above. Pour them with boiling water and leave for 10 seconds pulling. Strain them and pour cold water re et. 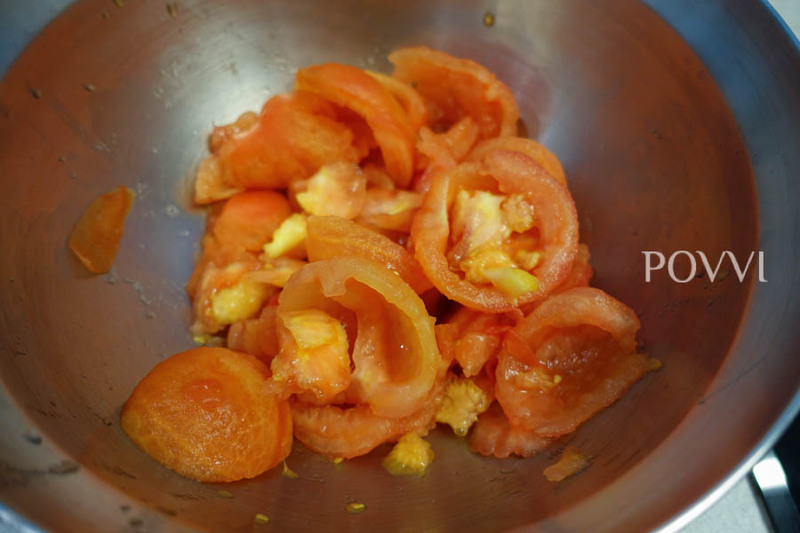 Peel them, catch the juice, remove the seeds and cut the meat into smaller pieces. 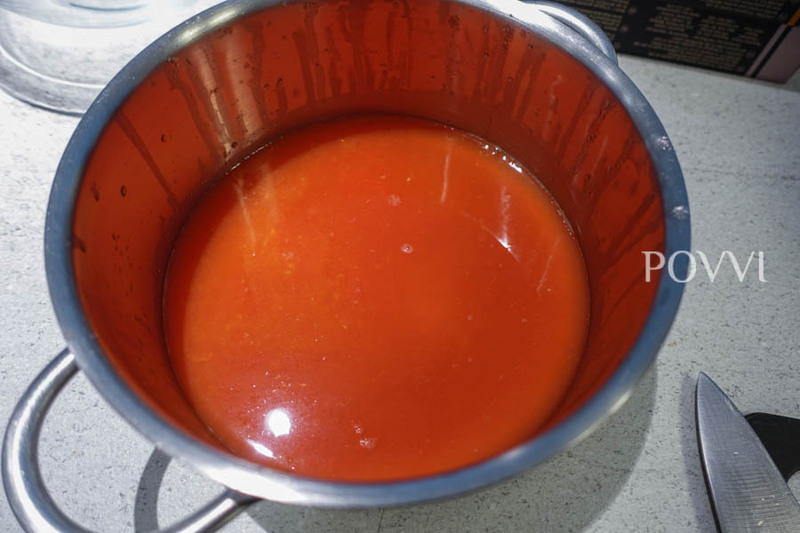 Heat the olive oil in a pan on a medium heat. 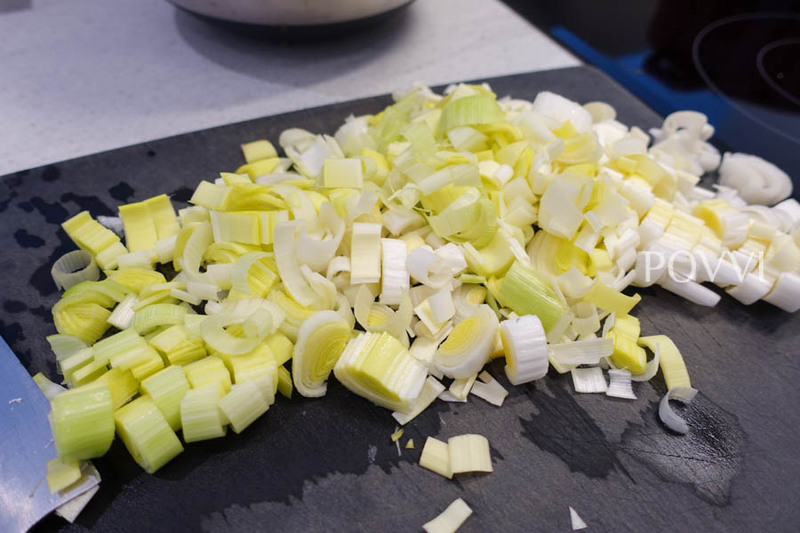 Cut the leeks into small half-rings and cook them gently until they are translucent. Cut the potatoes into small pieces and add to the leeks. 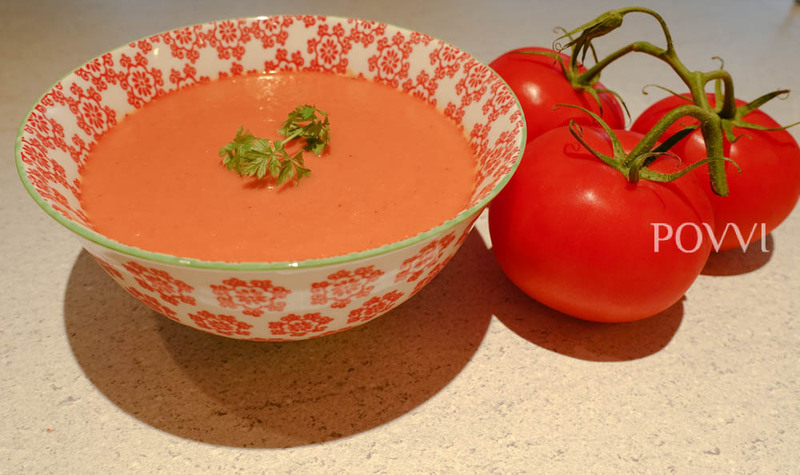 Then add the juice of the peeled tomatoes, sliced ​​peeled tomatoes on the vine, water and concentrated tomato paste added. 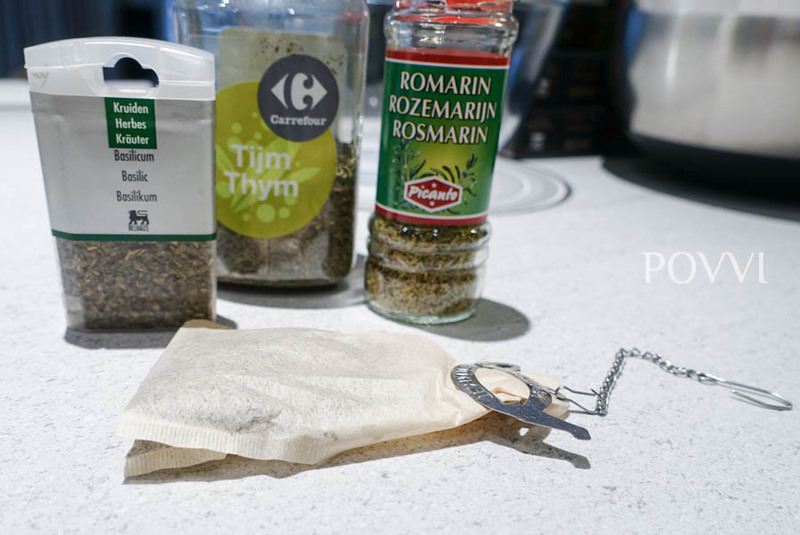 Season with thyme, bay leaf, rosemary and basil in a tea bag. Bring to a boil first. Add the cream cheese in and let it simmer for 10 to 15 minutes. 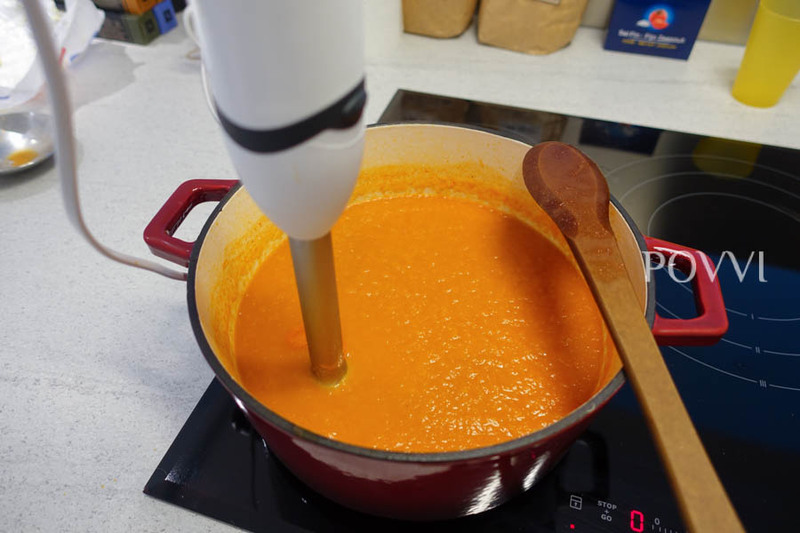 Then remove the bay leaf and the bag with the spices and puree the soup with a hand blender. 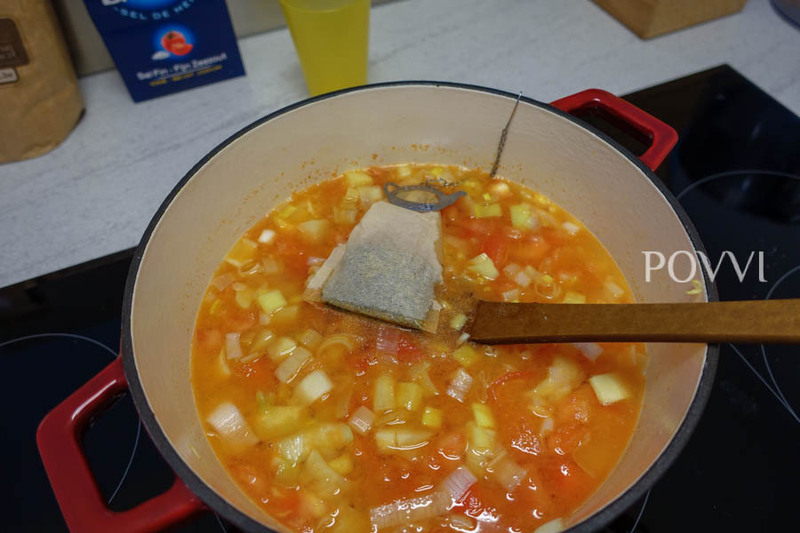 Pour the cream into the soup and season to taste with pepper and a little salt. 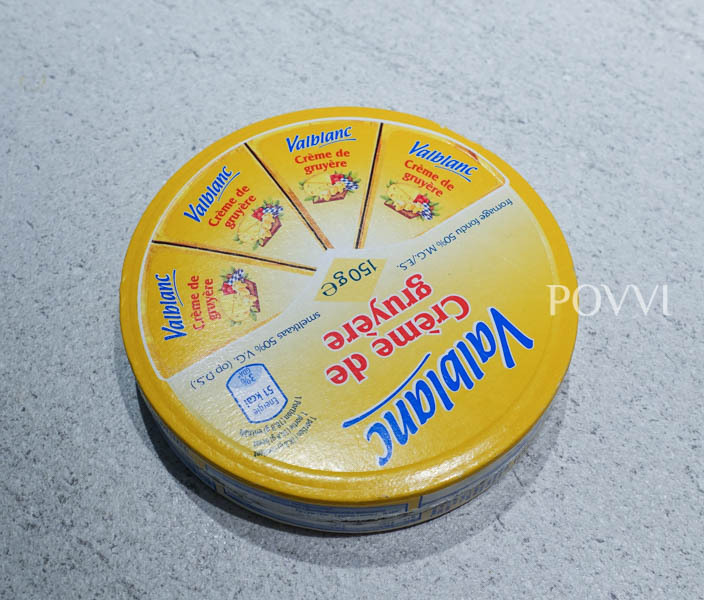 Serve with dark bread or Grissini.